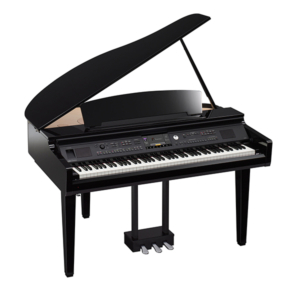 Yamaha AvantGrand N3X. 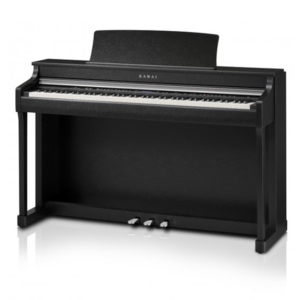 Feel and experience a piano sound that you have never had before from this stunning and elegant instrument. 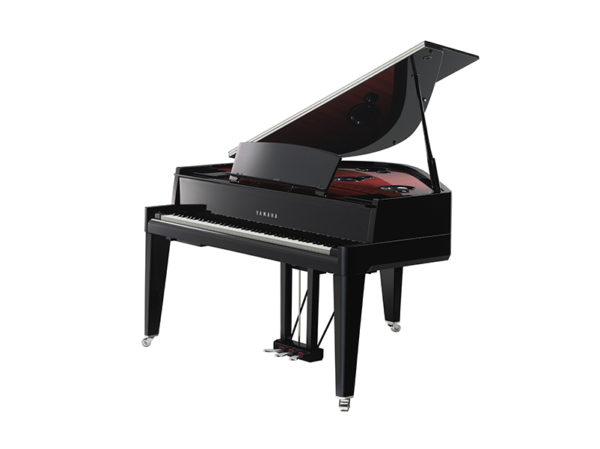 In pursuit of the Grand Piano in everything such sound, touch and action. Light to the touch at first, subtle firmness partway through its travel, and lightening again as the player pushes further; the pedals of the grand piano have subtly different stages than can be felt when the pedal is depressed. Skilled players take advantage of these pedal movements by using extremely delicate pedaling that allows them to achieve finely nuanced expression in their play. In developing this instrument, we set out to reproduce the sensations of a grand piano’s pedals as faithfully as possible. The resulting pedal allows for music as you believe it should sound, equally responsive for more impressionistic pieces that require a lot of half-pedaling. 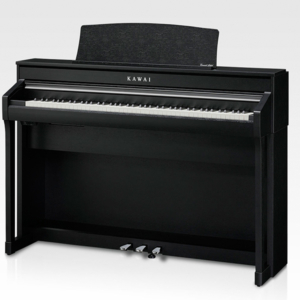 The Yamaha CVP-709GP - How could Yamaha improve the design of the ultimate Clavinova CVP-709 digital piano? Put it in a polished ebony grand piano cabinet. 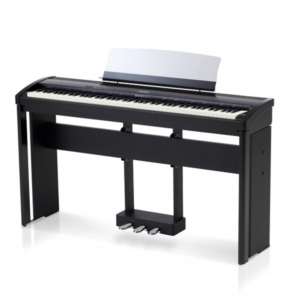 The ES8’s class-leading Responsive Hammer II keyboard action recreates the supreme touch of an acoustic grand piano, with its realistic movement and rigid, springless design providing a smooth and natural piano playing experience.